Last summer we tried an experiment. 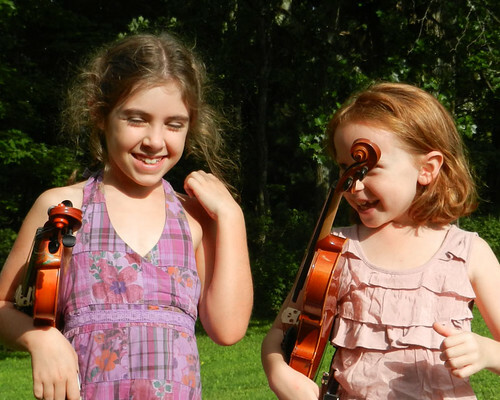 Instead of going to a Suzuki Institute or a local music camp, we packed up our violins, tin whistles, guitar, cello and ukulele, and headed to the mountains of North Carolina for a week of fiddling fun with Scott Walker and his family fiddle camp. I had no idea what to expect. I had never been to the camp before and I didn't know anyone who had gone. But I did know that what I wanted for my children was to experience some freedom and joy in music, and to kick back and relax with their strings. I met Scott Walker and his brother Landon at a Suzuki Workshop where he was teaching cello master classes and fiddle group classes. 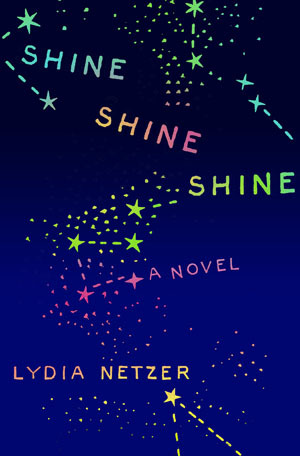 His immediate connection with both my kids impressed me -- his gleefulness, his sense of fun, and his ability to work with Benny immediately and effectively, and charm the socks off Sadie -- I was impressed. During the faculty concert, Scott and Landon played a song together that is without a doubt one of the most beautiful pieces of music I've heard played on the cello. When I found that Scott had written the song, I knew that I had to get my kids more time with these people, so I began to look into their summer camp. We've been a Suzuki family since Benny was 3. When Sadie was born she began attending his lessons in the baby sling, and by the age of two she had a foam-a-lin under her chin. The best thing about Suzuki, for us, has been the teachers: their willingness to accept children as individuals, their patience and faith in their method, and their positive, forward energy. But after 8 years of toil along the Suzuki path to enlightenment (and Benny's path has not been without thorns and potholes) I felt like we needed to step outside the program, and try something new. The Walker Family Band Summer Fiddle Camp was without a doubt the best week my kids had all year. The teachers were fantastic. The other families were welcoming and fun. 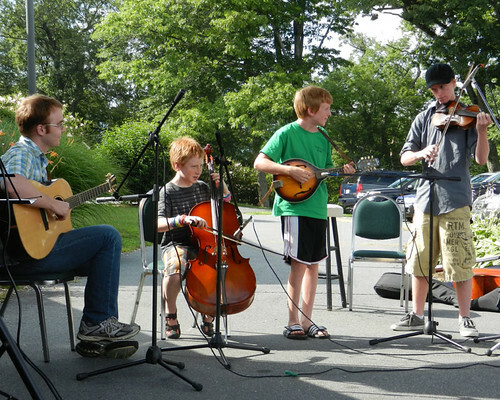 The other kids were music-obsessed, violin-addicted, foot-stomping fiddle-fanatics. It was amazing. The camp is held at the Blowing Rock Conference Center, which is a resort way up on a hill at the end of a road. It's on a lovely green campus with lots of room for the kids to roam around, and there's nothing else out there. They eat in the cafeteria, they play outside on the grounds, all the classes are in one of the main or adjoining buildings, you sleep in your room in the main building, and everything you need is right there. There's no need to use your car for the whole week if you don't want to. When I arrived I was concerned my kids would find friends, would be able to get to their classes, would be able to adjust to all the new people, etc. Let me tell you. On the first day, my little 7 year old got herself to her first class, and made a friend by the end of her second class. By the end of the day Benny had his own room key and was getting himself around the campus like a pro. He was telling *me* where stuff was located. They got themselves to their meals, got themselves to their classes -- the self-sufficiency of all the kids at the camp was amazing. I had so much time to chill out that this time *I* am going to take classes! The culture of the camp is obviously very music positive, but it shows up not just in the activities and the official mission, but in all of the people too. There's a gang of teenagers -- they're all walking around with instruments in their hands, and when they clump up, they're playing fiddle tunes. To "be cool" you better be able to play Devil's Dream real fast -- these are the teenagers I want my kids exposed to! There was such an inclusive, warm, family feel to the whole thing -- moms helping other moms' kids all over the place. It reminded me a lot of our homeschooling community at home, and unsurprisingly a lot of the kids are homeschooled. 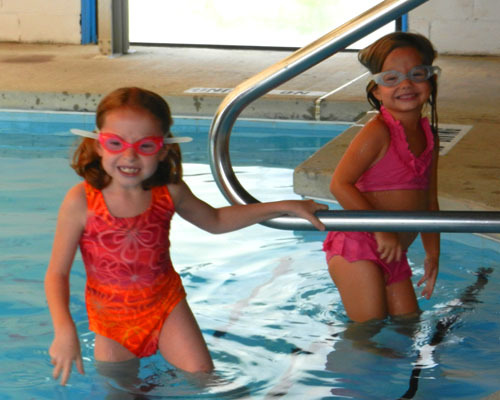 Silly girls playing in the pool during an off hour. Phoebe and Sadie wrote to each other throughout the year. 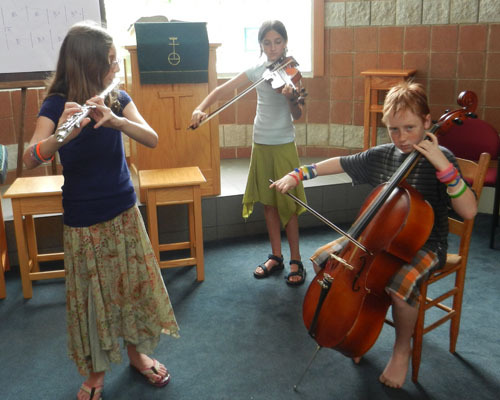 A trio that formed for the talent show: Flute, violin, and cello. During the talent show performance. And I haven't even mentioned the bonfire, the awesome pottery teacher who fires all the pieces in a spectacular fashion on the last day, the kayak river trip, the yoga, the nature walks, the song-writing class, the kitchen sink parade, the talent show, and more! Look, if you're a Suzuki parent, and you're worried, I get you. You may look at the web site and wonder, "Where will my kid fit in? He's in book 4 -- is that intermediate or advanced? Will he have to read music? Will I be able to sit in the classes? Will they let his bow hand go to heck? What if he doesn't get along with the teacher?" The culture of the place is a little different, for us hard-charging classical academic types. But I'm telling you: Don't worry. These are good people. All of them. 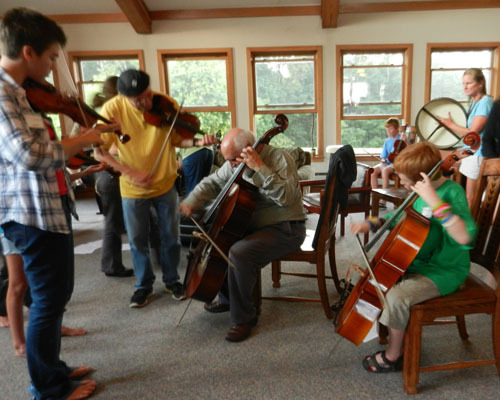 Their sole purpose for the week is having a good time -- with the kids, with their instruments, with you. You can juggle the classes around if you need to. You can sit in. You can hang out. You can pick up a drum and join in. Your child will learn an ENORMOUS amount. 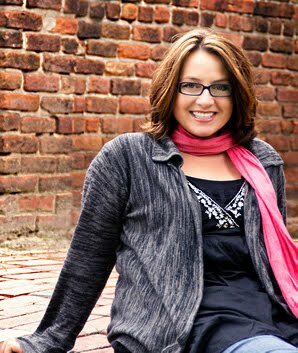 Not just repertoire, or new bowing techniques, or how to play a new instrument like the mandolin or whistle, but also how to really participate, how to join in without fear, how to step out with confidence, how to enjoy his instrument, how to really "play" the violin instead of "work" on it. 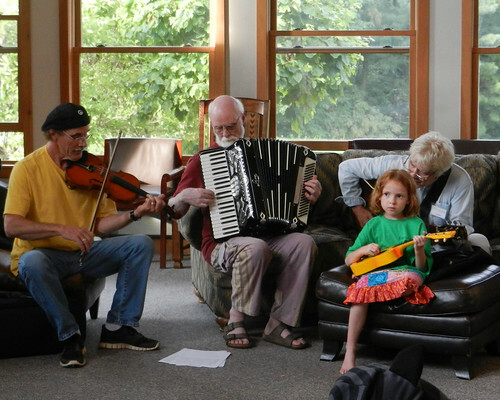 The Walker Family Band Summer Fiddle Camp was a great investment in my kids' growth as people and their love of music. They have been talking about it all winter, and they cannot WAIT to go back this year. 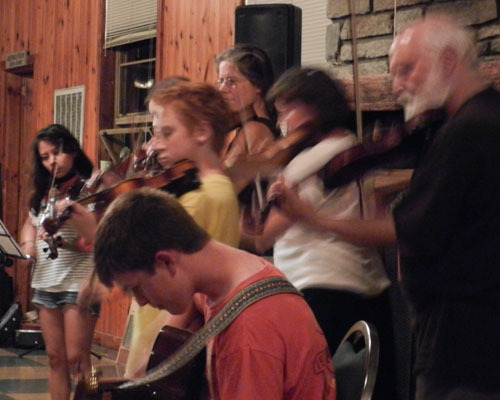 Go to this web site: Summer Fiddle Camp. Look at all the documents and follow the directions. If you get confused, call. They will help you figure it out. If you're still confused, go. When you arrive, you will begin to understand. Maybe this photo will help. My 7 year old daughter, with her ukulele, perfectly happy and comfortable jamming with these experienced pros, who welcomed her with respect and good humor, and helped her fit right in. When I saw this happening, I knew I was in a good place. Robbie Wells, Landon Walker, Scott Manring, and Sadie. If you have any questions, I'm happy to answer them from my experience. Here is a slideshow of all the rest of my pictures from 2011! I hope to see you at camp in 2012! I'm not a Suzuki parent, but that looks like a wonderful camp for your family! I enjoyed the music!! Lydia, THANK YOU! What a lovely landscape you paint of our camp! You have captured the spirit created and shared throughout the week. We plan what we hope will be an inspiring traditional mucic camp, but I think our faculty is most gifted at teaching enjoyment, inclusion, generosity, and kindness. We are so appreciative of the gifts you and your children shared with us at camp last year. Thank you so much for sharing your experience. Scott and Landon Walker are two of my oldest and dearest friends and you couldn't be more correct, these are GOOD people. And GREAT musicians.